LEICESTER Speedway bosses have hailed the support from commercial backers which helped them through a tough season. 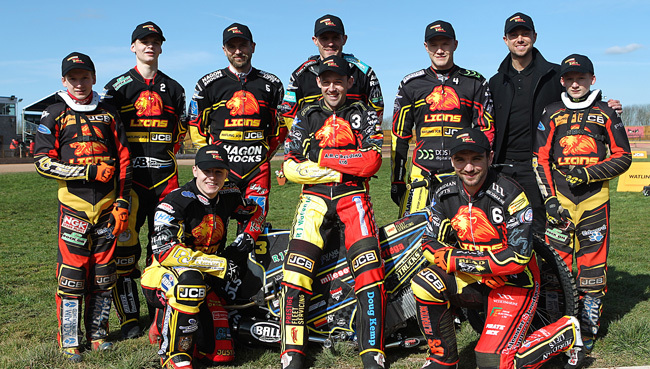 After the loss of Grand Prix winner Martin Vaculik in the early stages with a broken ankle, the Watling JCB Lions stumbled from one problem to another as they made effort to patch up the side. It was no surprise when they finished bottom of the league – but loyal fans and sponsors stood by them. Co-promoter Neil Machin said: “We have to thank our commercial partners who were loyal and kept their faith in the club. “The arrival of an astute speedway manager and promoter in Stewart Dickson will help us in that and I know he has some good ideas to take the club forward. “But we have to thank the team at Watling JCB for their terrific backing as main team sponsors, we want them to know how much it is appreciated. “And Paul Chapman and Sons stepped forward with the naming rights for the stadium, the income generated from this has been a big help. “Sponsorship is more important than ever in professional sport and we cannot do this without backers.